Xteam Software (China) Co. Ltd. was founded in 1999 as the first specialized Linux Company in China. It provides individual users and business customers with advanced high-tech Linux OS products and corresponding services. Our Linux workstation - Xteam Linux targets individual users who are familiar with computer technology including newbies, enthusiasts and developers. It contains an intelligent GUI installer, easy-to-configure tools and a variety of applications, and it was also optimized for various application environments to be a high performance PC workstation, advanced development platform, and even a private network server. 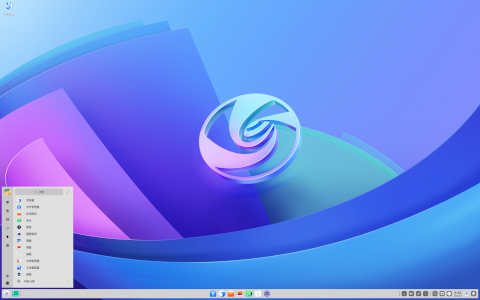 Rate this project The deepin development team has announced the release of deepin 2014.3 which brings new updates to the project's Ubuntu-based desktop Linux distribution, together with a new website domain (deepin.org) and a new product name - now spelt with a lower-case "d". From the release announcement: "deepin 2014.3 is the revised version. This version is the achievement after we comprehensively fixed bugs in the system and applications in the last version and optimized the performance of the last version. Meanwhile, the system features and UI interfaces have been adjusted slightly. In terms of the languages the system supports, deepin 2014.3 has increasingly supported 23 languages. In addition, deepin has relatively complete community documents and nearly 70 mirror sites worldwide, allowing users all around the world to be able to experience the infinite charm of the deepin system. This time, we focused on fixing and optimizing Dock and Control Center to make the experience and stability of deepin 2014.3 greatly improved." Download the installation DVD image from here: deepin_2014.3_amd64.iso (1,920MB, MD5, pkglist). The deepin project has published a new release of its Debian-based distribution featuring the Deepin Desktop Environment (DDE). The project's latest release, deepin 15.7, focuses on optimizations and reduces the size of the distribution's ISO, and lowers memory consumption and power consumption. "To reduce power consumption of laptop, 'power saving mode' is added in deepin 15.7. Your laptop can enter power saving mode automatically when using battery. In this way, laptop standby and working time is increased. Preliminary tests show that in our test environment, standby time is extended 20%. deepin 15.7 has made a series of adjustments and optimizations in memory usage. In the standard configuration, the boot memory has decreased from 1.1 GB to 830 MB, and reduced to less than 800 MB on a discrete graphics card. Adjustments and optimizations for other functional modules have been made as well. Dock - added OSD when turn on/off microphone and WiFi, added the animation when dragging and dropping icons from dock. Control Center - added power saving mode and auto mode switching function for laptops." Further information, along with screen shots, can be found in the distribution's release announcement. Download: deepin-15.7-amd64.iso (2,394MB, SHA256, pkglist).